Gil “Hop” Hopkins works as a publicist for a major Hollywood studio where he specializes in twisting the truth and covering up conspiracies. He’s approached by a young woman accusing him of omitting details surrounding the disappearance of her friend, actress Jean Spangler. While he tries to sell her on the tired excuse of “I was just doing my job”, his guilt eventually gets the best of him as he begins digging into the cold case looking for answers. While Gil begins by playing it close to the chest, he leaks information and confesses his potential guilt to a hard nosed Hollywood reporter after a night of heavy drinking. Luckily for Gil, he’s a damn good liar, so spinning clues and keeping the reporter in the dark proves to be easy in the beginning. But as the pressure of the case mounts and the reporter’s determination refuses to waiver, Gil begins to buckle. 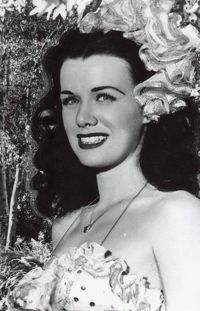 The disappearance of Jean Spangler is an actual cold case and much of the plot in Abbott’s book matches up with how events actually unfolded following Spangler’s disappearance. Spangler disappeared on October 7th, 1949 after telling her family she was going to meet with her ex-husband to discuss a late child support payment, after which she would head off to a night shoot for a film. After Jean was reported missing, her purse was found near Griffith Park containing a note addressed to “Kirk” (believed at one time to be referring to Kirk Douglas) stating that Jean was going to see a Dr. Scott – an appointment authorities believed was for an abortion. Abbott also plays up Spangler’s association with Mickey Cohen goon Davy Ogul. However, that is about where fact ends and fiction begins. Gil’s investigation takes him through the gutter of post-war Los Angeles; through seedy nightclubs, sexual deviancy and alcoholism using crackling dialogue and prose that brings 1950s California to life. Gil is a compelling character who isn’t shy in sharing his cynicism of Hollywood while also being aware that his job directly contradicts his attitude. I almost feel like it’s the wrong word, but he’s a fun character to tag along with as he’s never dull to say the least. 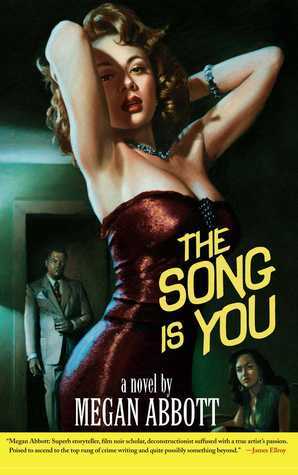 It’s worth mentioning that The Song is You will inevitably draw comparisons to James Ellroy’s The Black Dahlia, another novel I enjoyed that took an actual crime and mixed it up with fictional characters. Both novels excel in presenting a case and seemingly wrapping it up where others could not. It’s an interesting way of presenting the genre, even if the authors deviated from the facts. However, it is crime FICTION after all. August 13, 2015 in Fiction, Megan Abbott.